Dazzle Casino was launched in 2016 and they are one of the most popular brands from the ProgressPlay group of casinos. The ProgressPlay platform comprise of a large number of game vendors, many of which are responsible for producing some of the most entertaining and innovative casino games such as NetEnt, Microgaming, NextGen Gaming, ELK Studios, Thunderkick, Scientific Games and many more. Dazzle Casino’s game portfolio offer a broad variety of game types where the player can enjoy video slots, card/table games, video poker, jackpot slots, instant win games and live dealer games which provided by Evolution Gaming and Extreme Live Gaming. The game lobby at Dazzle Casino is easy to navigate. The different game types are separated in the main tabs where you also can choose the latest and favourite games. If you prefer to see the game grid sorted by the different game providers, this is sorted by a drop down menu on the right side of the game lobby. There is also a search function available in the lobby where you simply enter the game title to quickly locate the game you wish to play. The helpdesk at Dazzle Casino is operating 24 hours a day, 7 days a week. Players can get in touch with the support by using the live chat function or by sending e-mail. There is also a extensive FAQ-page available at Dazzle Casino which includes a lot of helpful information about technical issues, bonuses, deposits & withdrawals, verification procedures and much more. This is a great tool to find information quickly. Dazzle Casino is available in English, German and Swedish. Dazzle Casino is operated by ProgressPlay Limited. They are licensed by the UK Gambling Commission and the Malta Gaming Authority. Dazzle Casino meets the highest standards of player fairness, safety and responsible gaming policies. Dazzle Casino: Get 10 No Deposit Spins in Foxin’ Wins Slot on Sign up (promo code: FOX10)! New and eligible members of Dazzle Casino will get 10 free rounds in the very entertaining video slot called Foxin’ Wins upon a successful account registration – no deposit required. The promo code for this no deposit offer is: FOX10. 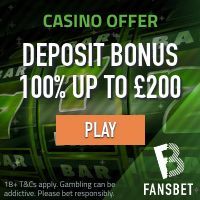 The wagering requirement on winnings from these no deposit spins is x50 and the maximum cashout is capped at £/$/€20/200 sek. Click here and join Dazzle Casino and collect your 10 No Deposit Spins in Foxin’ Wins (promo code: FOX10)! Dazzle Casino: Get 25 Bonus Spins + 100% up to £/$/€200 on your First Deposit (promo code: SHA25)! – Wagering requirement on winnings from the bonus spins and the cash bonus is x50. – All winnings generated from wagering the bonus will be credited to your bonus balance. – Wagering occurs on real balance first. Click here and become a member of Dazzle Casino and enjoy your First Deposit Bonus! More Casino Promotions at Dazzle Casino! Dazzle Casino spoils there members with a large set of different player promotions. Some of these includes special offers for live casino games, weekly surprise bonuses, the Wednesday Wildfire promo and much more. Make sure you keep an eye on your e-mail and phone inboxes for other promotions that you wouldn’t want to miss out on. Dazzle Casino accepts a great number of different payment methods that players can choose from these include Visa, Mastercard, Maestro, Pay via Phone, PaysafeCard, Trustly, Zimpler, EcoPayz, NetEller, Moneybookers Skrill, iDeal, Sofort, Giro Pay, Qiwi, WebMoney, Euteller and several regional bank transfer solutions that vary from one country to another. Transactions and other stored information are protected by the most advanced encryption technology available. Popular Video Slots at Dazzle Casino! The larger part of the casino games at Dazzle Casino is online video slots. With contributing game vendors such as NetEnt, Microgaming, ELK Studios, Thunderkick and many others, you can be sure to fins some of the most popular video slots available. These include Starburst, Gonzo’s Quest, Berry Burst, Dead or Alive, Reel Talent, King Kong Fury, Coins of Egypt, Romanov Riches and Vikings.